Styled with oceane longsleeve and mylene blazer . Sophisticated joggers — who knew? No actual jogging necessary. 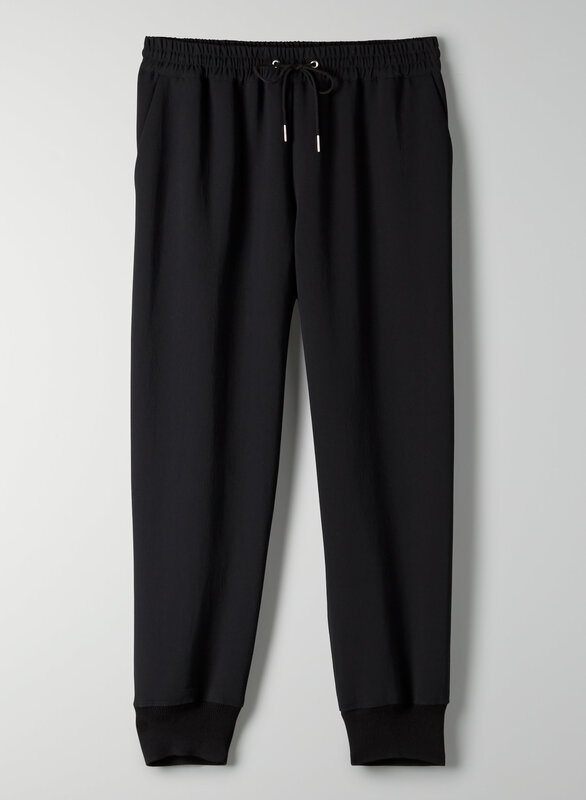 These joggers have a soft, elastic waist with a drawcord, silk binding, and ribbed cuffs at the ankles. They're made with a smooth Japanese crepe that has a matte finish and drapes beautifully. Love the fit and the fabric. 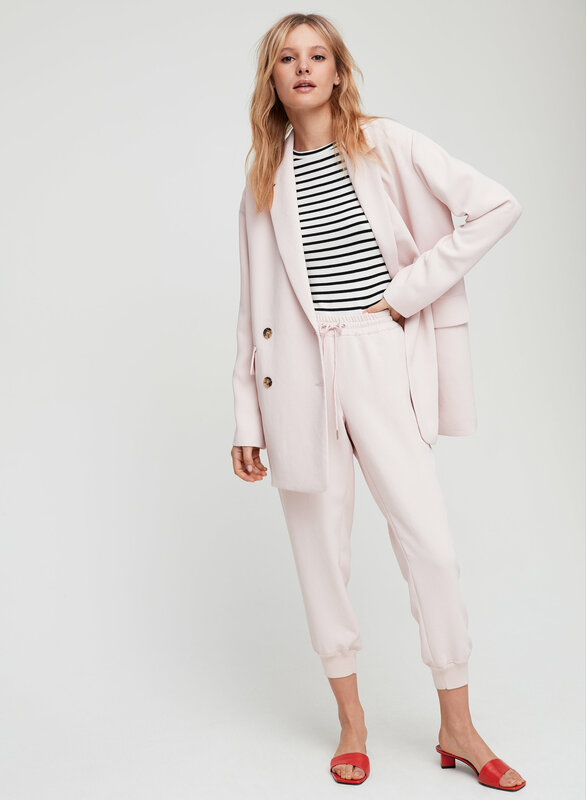 I had an older version of this pant and I’m very impressed with the updates. There is a silky lining in the pockets and a coloured trim on the inside of the waistband that wasn’t on the pair I previously owned. I purchased this pair to replace my old one because the string ties had unraveled and got tangled. Pants are super comfy. Amazing quality. Dress up or down! Love the silky inside and the weight of the pant hangs in such a flattering way. This is my second pair and I would definetly purchase them in another color again. Loved the pants, was expecting a higher rise and they were low but they’re so cute !! Such a good staple. These pants are so versatile. I’ve worn them to work, to the bar and to lounge around. 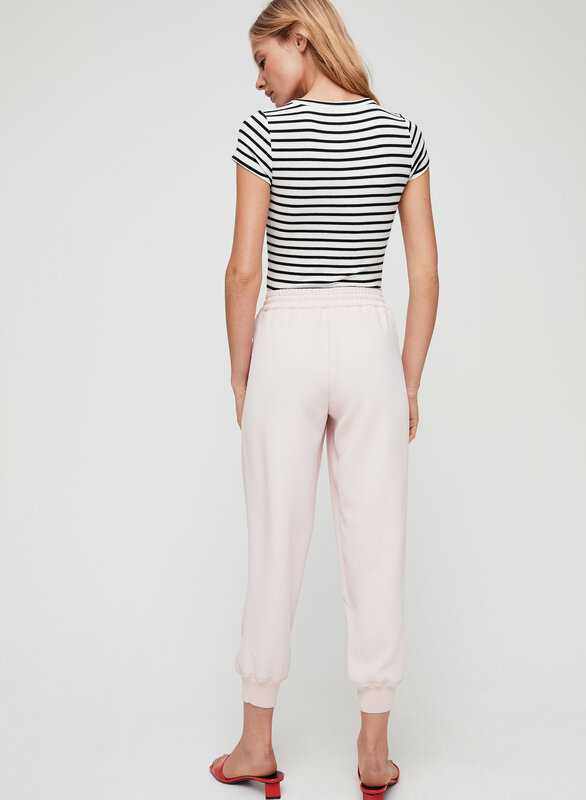 The perfect dressed up but casual pant! 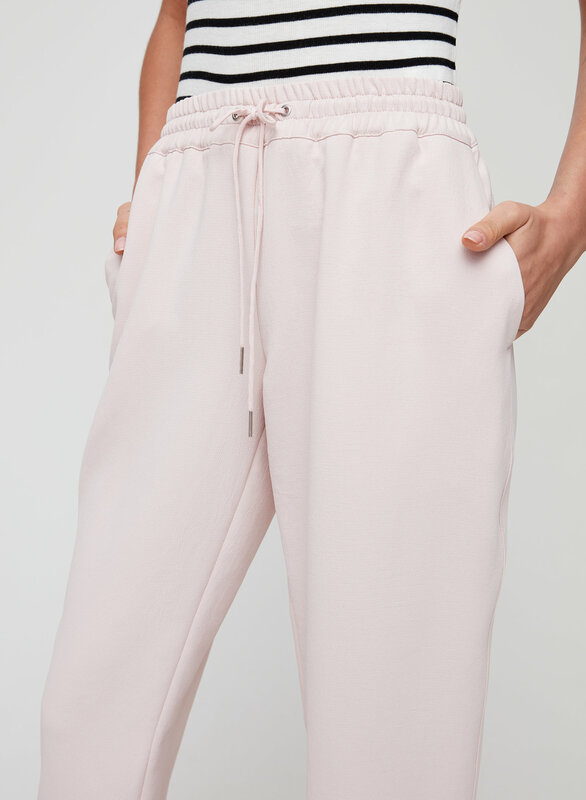 I love these pants, I had been wanting to find a pair of pants like this that you could dress them up and not feel like people think you’re wearing sweatpants. The material makes them look sharp and put together while still being a casual pant. If I had one wish it would that they would be high rise instead of medium rise but it’s always good for me to branch out from my very high rise comfort zone. Comfy. They look more dressier than a classic jogger because of the fabric. Go down a size if you like a more snug fit. Pants fit well around the waist but only hit mid-calf in the leg. Fabric comfortable. These pants look great and are super comfy. They easily go from the office to the weekend.